Lasse Gjertsen was born in Larvik, Norway on July 19, 1984. 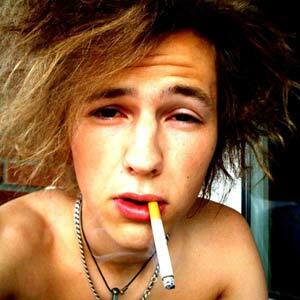 Lasse is a Norwegian animator, musician, and videographer who became famous from his videos on YouTube. His 5 most popular videos have been seen more than 16 million times on Youtube alone. If you want to download the audio from this video, Go Here. And now; to you people saying I’m ripping off Michel Gondry: I’ve seen his video with the drumkit called “Drumb and Drumber”. It’s here on youtube somewhere. His video and my video are different because of one very important detail: Gondy filmed himself doing drumming sequences and LOOPED them, while I hit each drum and piano chord seperately and edited them together. This is a very big difference if you have any idea about video editing. Actually, there is a short sequence of 5 sec where he does cut the beat, but I didn’t notice this until recently, which makes me an idiot. But I still don’t think it’s a rip off, only similar. SO one question to you guys: If I write a song which includes the words “love” and “tight”, am I ripping off The Beatles?? 😛 I met Michel Gondry in Milan, Italy and asked him. He didn’t really give me a clear answer, but it seemed like he thought so. Either that or he didn’t like my clothes. Lol.